Apr 20, 2012 Posted by AAfterwit on Apr 20, 2012 | Comments Off on Terps vs Devils – The ACC Lacrosse Tournament Begins. Terps vs Devils – The ACC Lacrosse Tournament Begins. Today the ACC Lacrosse Tournament begins with our beloved #8 ranked Maryland Terrapins taking on the #3 ranked Blue Devils of Duke at Klockner Stadium on the University of Virginia campus. 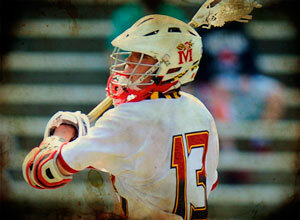 Maryland beat Duke earlier this year 10 – 7 at a game that was played in College Park. It is fair to say that both teams barely resemble the teams that faced off against each other that April Saturday. Duke has won their last 8 straight and is definitely on a roll. 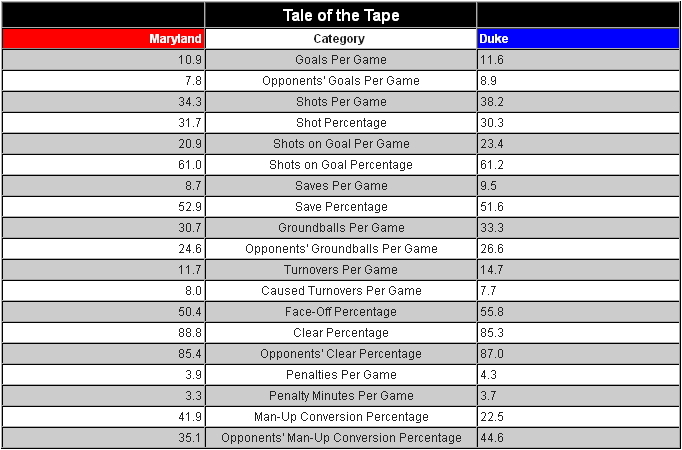 Maryland has struggled this year and seems to generally play to the level of their competition. Last week’s win against Johns Hopkins was not only a much needed victory, but finally the defense managed to play a complete game, holding Hopkins to only one goal in the second half. 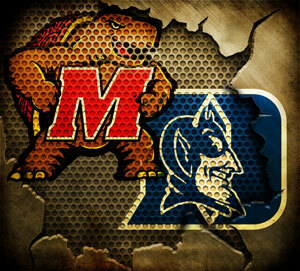 Maryland is going to have to play that well against the Blue Devils to come away with a victory in today’s game. The game begins at 5:00 PM, and can be seen on ESPNU, as well as being heard on WMUCSports.com. The game can also be followed using Gametracker, so you can follow the game surreptitiously while at work. Just don’t tell your boss that we told you do so. The nightcap (also known as the JV game – JUST KIDDING!) has North Carolina taking on Virginia. Both teams are ranked and this too should be a good game that you can watch on ESPNU. Enjoy the games and remember to Fear the Turtle! Apr 13, 2012 Posted by AAfterwit on Apr 13, 2012 | Comments Off on Are You Ready For Some Radio? 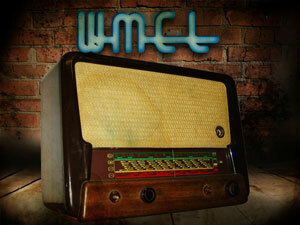 Are You Ready For Some Radio? TGIF. Man oh man. We spent the day yesterday recovering from a flood caused by water heater that burst. Why is it that those things never seem to come apart in the daytime? On top of that, our friends from AT&T spent three hours here trying to fix our telephone. Every try and clean up a flood, while a guy is soldering in a new water heater and another guy is yelling “how’s that?” every couple of minutes? It is not fun. But as of this writing we are dry, able to talk on the phone, and really really tired. Anyway, we are going to be back on the radio tomorrow on the Steve Bussey Radio Experience between 2 and 4 PM EDT on WMEL AM 1300. If you aren’t in the Space or Treasure Coast of Florida, you can catch us on the internet or on your cell phones. 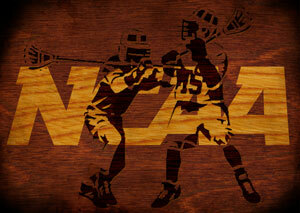 Graham Dennis and Casey Edsall are two high school students who play lacrosse. (Right off the bat, we like them.) Last year as they were boarding their team bus, the principal of Easton High School (Maryland) said he was going to search the equipment bags of players as the school had received a tip that there might be alcohol in some of the bags. When he got to the bags of Dennis, he told the principal he would find a small knife and a multi-purpose tool in his bag. Edsall told the principal he would find a small knife in his gear bag as well. Sure enough, the principle found a 2 inch knife in a plastic bag within the gear bags. The principal also found the multi-purpose tool and a lighter in the bag of Edsall. 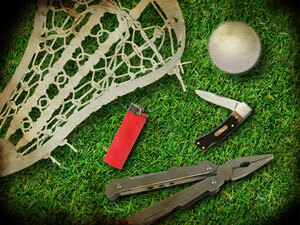 The boys used the tools to fix lacrosse sticks if needed on the sidelines. In case you aren’t familiar with fixing lacrosse sticks, a multi-purpose tool would be used for something like replacing the head on a stick, or used to pull the twine lacing of a stick through the head. A knife would be used to trim the laces and as the lased are made of nylon, a lighter is used to melt the cut ends so the laces don’t unravel. Apr 10, 2012 Posted by AAfterwit on Apr 10, 2012 | Comments Off on “I’m A Police Officer And I Know The Law.” Uh…No, You Don’t. “I’m A Police Officer And I Know The Law.” Uh…No, You Don’t. Before we begin, we want to say that being in law enforcement is a difficult job. We mean that sincerely. That being said, being a police officer doesn’t give one the right to act like an ignorant bully on steroids. 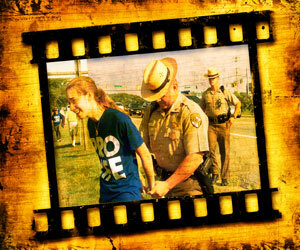 On August 1, 2008, Maryland State Troopers, members of the Harford County Sheriff’s office as well as other law enforcement agencies arrested a group of anti-abortion protestors from a pro-life, pro-family, Roman Catholic organization called Defend Life for…. well, what they were arrested for is part of the story. …grassy shoulder along Route 24, near the intersection of Routes 24 and 924 in Harford County. (Id. ¶ 22.) The demonstrators stood approximately 20 to 40 feet apart from each other and they held signs of varying sizes, between 4 and 5 feet in height and 2 and 3 feet in width that contained pictures and words that conveyed an anti-abortion message. After receiving calls from motorists complaining that the signs and images the protestors were displaying were “offensive” and “upsetting,” Maryland State Troopers arrived and told the protestors they needed a permit. After talking with the State Trooper, the protestors moved 4 miles “up the road,” to a place where they believed they were legally allowed to protest. A few minutes later, the State Police, Harford County Police, and police from the City of Bel Air showed up and started to make arrests. Despite asking many and multiple times as to the reason they were being arrested, the law enforcement officers never told them, but kept the protestors along side of the road for 30 minutes. During this time, the protestors alleged they were “body searched,” including having female officers look down the shirts of the female protestors, and reaching in the protestors pants to search below the waistline. All of these searches allegedly happened along the side of the road. The protestors were then taken to a holding cell where they were held without charges for at least 6 hours. The protestors were then moved to a detention center where the females were strip searched by a female officer in a bathroom. The plaintiffs contend the bathroom door was kept open. Still, at this time, no charges had been filed.